Dr. Zemon brings expertise in general surgery as well as the latest techniques in minimally invasive surgery, including single-incision surgery and robotic surgery. He specializes in surgeries of the liver, pancreas, bile duct, stomach, small bowel and colon. He also specializes in all types of hernia repairs.Dr. Zemon brings expertise in general surgery as well as the latest techniques in minimally invasive surgery, including single-incision surgery and robotic surgery. He specializes in surgeries of the liver, pancreas, bile duct, stomach, small bowel and colon. He also specializes in all types of hernia repairs. He received his undergraduate degree from Yeshiva University, and his medical degree from the George Washington University School of Medicine, Washington, DC, where he also completed his residency in general surgery. In addition, Dr. Zemon completed two fellowships at Johns Hopkins University in cancer immunopathology and surgical oncology under the direction of the world-renowned Dr. John Cameron. 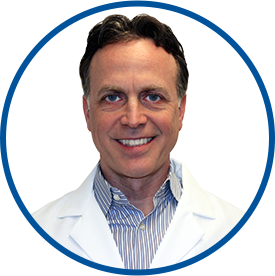 Dr. Zemon is board certified by the American Board of Surgery and is affiliated with White Plains Hospital and Greenwich Hospital. He has authored several peer-reviewed publications and book chapters. He lives in White Plains with his four sons. Dr. Zemon explained the procedure in great detail - no stone was left unturned. Dr. Zemon made it extremely comfortable, professional and explained everything with a very calm and understanding approach. The provider is very articulate, clear and reassuring, and explains things thoroughly. The best you could ask for. Compassionate, straightforward, smart, words can't thank him enough.